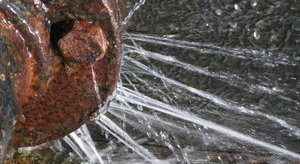 Whenever you’re in need of fresh start after a roof leak, sewage spill, or pipe burst damages your home, count on the top quality water damage repair and restoration provided by 911 Restoration Tucson. Our water damage Tucson pros have undergone rigorous training and have top of the line equipment that will ensure your home gets the fresh start that it needs! When you call 911 Restoration for assistance, you can expect our expert team to be there within 45 minutes. Our industry-leading response time will help us perform repairs and restorations before water damage can get out of hand and start causing other problems for you. We have years of experience along with industry certifications that prove that we have the expertise to perform top notch restorations. Whenever water damage is causing trouble at home, rest assured that your home will be in good hands with 911 Restoration. We want to make the water damage restoration process as convenient for homeowners as possible. Such we’re fully committed to your absolute satisfaction when it comes to work that we do. Once our team arrives on site, we will be providing a free assessment that will help us evaluate the current condition of your home and provide you with our expert recommendations on what to do. You can always count on the water damage restoration pros from 911 Restoration to take care of any water damage situation that occurs at home. Sewer water contains large amounts of filth and biological refuse which can cause severe damage to your home and can spread disease. It can be dangerous and difficult to thoroughly remove sewage from your home on your own, that’s why it’s best that you call 911 Restoration to handle this concern for you. We have the proper equipment and training necessary to safely and thoroughly extract sewage from your home. Our water damage Tucson team will be equipped with protective hazmat suits as we work in order to protect ourselves and to prevent the spread of disease. We will be using state-of-the-art drying equipment which will allow us to extract sewage and moisture out of your home with effectively. Once the area has been cleared, we can proceed with repairing plumbing and all other affected sections of your home. To completely decontaminate your home, we will be cleaning your home with industrial strength solutions that will completely kill bacteria without causing any further harm to your home. Through our sewage backup extractions, your home will get that fresh start! We will extract the leftover water used for extinguishing the fire. We will remove soot and ash from the surfaces of your interiors. We will provide odor removal services that will clear your home of the foul burnt smell. We will restore cabinets and furniture back to good condition. We will completely restore the structure of your home. Whatever disaster harms your home, be it a roof leak, sewage backup, fire, pipe burst, storm, or flood, trust that the fire damage restoration Tucson team from 911 Restoration will provide you with repairs and restorations that will always provide you with a fresh start. Give us a call today! Mold growth is one of the problems that can arise due to water damage. Prolonged exposure to water can create the moist environment where mold can start to thrive. Mold can cause structural deterioration that can weaken the wooden sections of your home and will spread via spores that can have adverse affects on your respiratory system. The best way to prevent mold from causing trouble within your home is by having a leak patched up right away. 911 Restoration, through our free inspection, will check for signs of mold growth within your home. 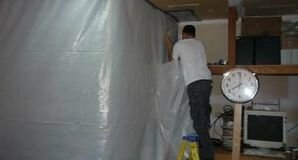 Our water damage Tucson specialists will detect the source of the leak and extract water and moisture out of your home. We will conduct the necessary remediation of mold by using our eco-friendly caustic cleaning solutions that will thoroughly remove fungal growth along with any spores it may have released into your home. 911 Restoration Tucson’s disaster restoration services are designed to provide you with the optimum fresh start, both in terms of returning your property to its original state or better, and in helping you cope with the water loss and recover from the event. We always put the customer first because we understand the depth of your emergency. Call us for a 45 minute response from professionals in the industry who are available 24/7. Disaster restoration is absolutely a job for experts. With the right tools and equipment, we will have you back in your home or your business open for business as soon as possible. Our disaster restoration technicians work with you every step of the way to provide the best experience, whether it is flood cleanup, smoke removal, or mold remediation. Contact 911 Restoration for a free inspection today.